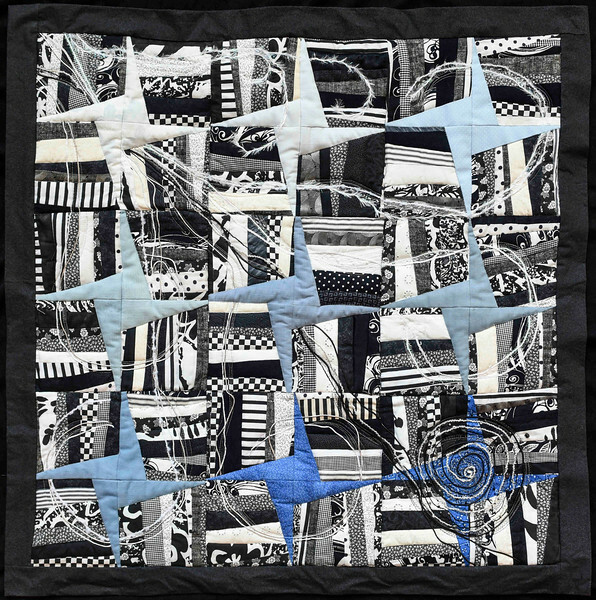 This quilt shows the power of the wind, both destructively and constructively. Here in the Central States Synod we know the power of wind as witnessed in tornadoes. We also know that just as 19th century homesteaders used the plentiful resource of the wind to draw water and make the plains hospitable to settlers, the same winds are now harnessed by vast fields of turbines. In the New Testament the Greek word "pneuma" is alternately translated as wind, breath and spirit.